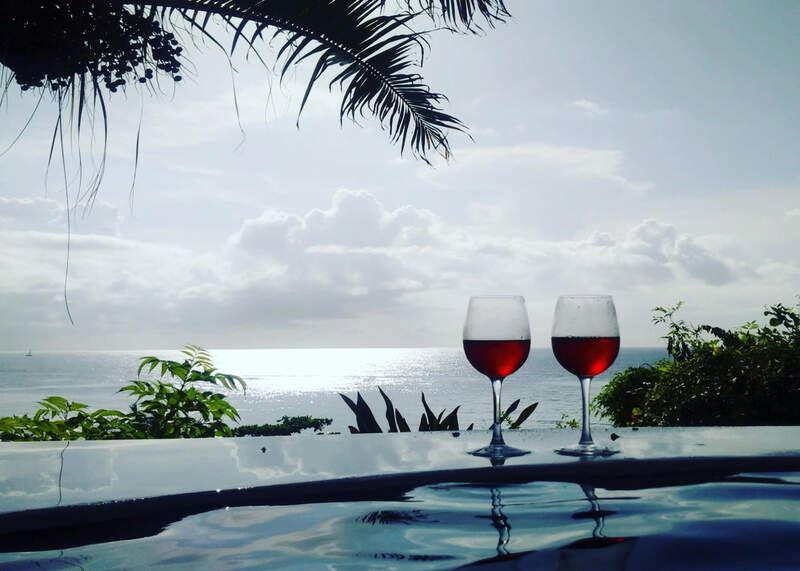 Hope that you have made plans for the most romantic day of the year, but if you are still looking for a romantic Caribbean getaway for Valentines, then think Grenada, and think Laluna. 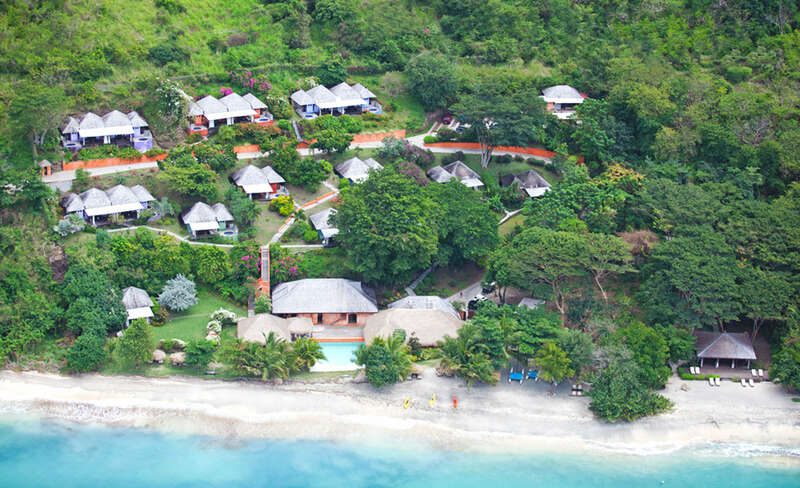 With only 16 cottages, you have a very intimate vibe at Laluna. All units have spacious rooms with king size Balinese four poster beds, and Italian linens. The bathrooms are partially opened to nature, with views from your showers of the gardens or the ocean. Start your Valentine’s day with a core work out with Leslie’s Pilates class at 9:30 am. All daily yoga and pilates classes at held at the yoga pavilion situated directly on the beach. Recover with a Balinese Couples Massage, at our Asian Spa with Balinese masseurs and then off to chill out on Laluna’s secluded beach. Snorkel the area with complimentary water sports equipment, or paddleboard or kayak to the next bay. Take in a Sunset Cruise on an authentic Carriacou wooden sloop. These boats were originally built to transport goods throughout the Caribbean. Yacht Savvy has been outfitted to give our guests a memorable experience, in true Grenada local style. Head back to Laluna after your romantic cruise, just in time for Happy Hour at Laluna’s Sunset Bar and Lounge. Or you can make your way to your room and take in the view from your Balinese Daybed on your private veranda. Take a refreshing dip in your private plunge pool while sipping away on a sundowner cocktail or glass of wine. After freshening up, dinner is served in our open-air Italian restaurant on the beach. 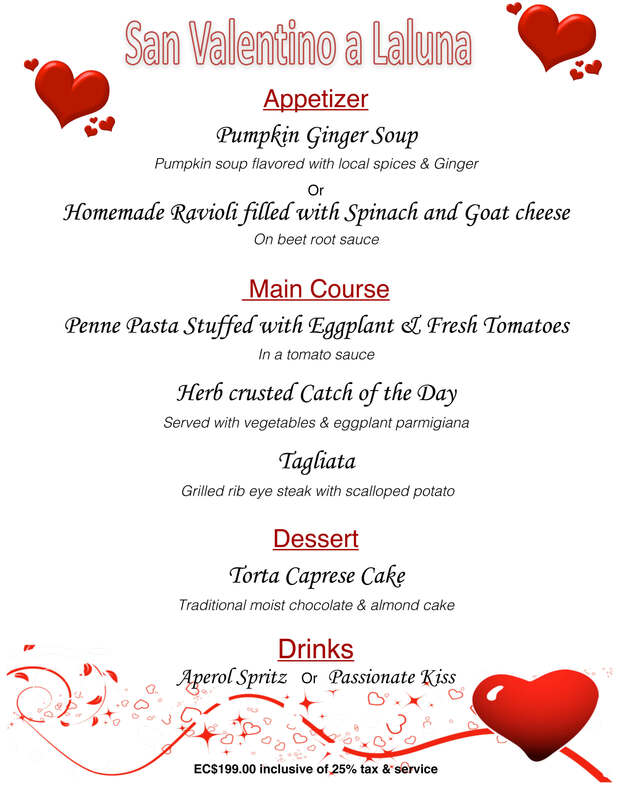 Our Set Menu for Valentines’s evening is a selection of traditional Italian dishes with a Caribbean twist. After dinner, grab a digestif and settle into one of the comfy Balinese day beds in the lounge, and stargaze on this new moon night. 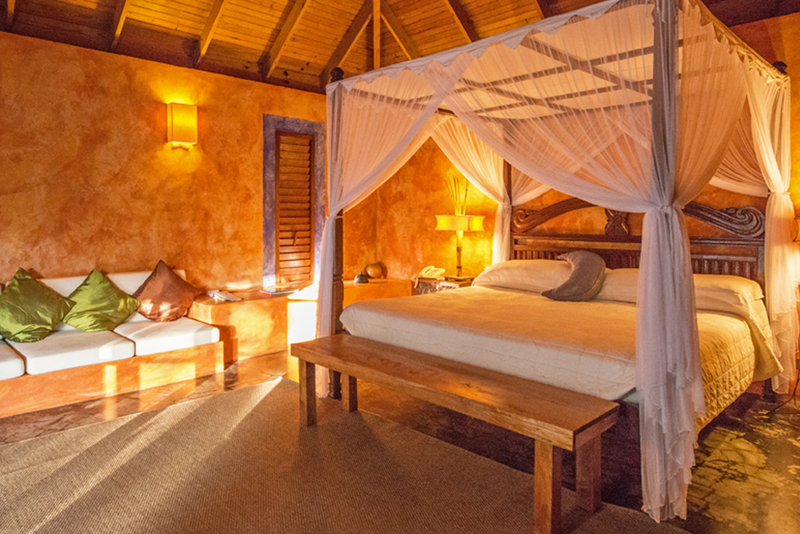 Check for availability for your romantic Caribbean getaway for Valentines at Laluna.